The 600 Travis building is the tallest building in Texas. HOUSTON – (Realty News Report) – Colvill Office Properties has closed on a 134,763-SF office lease renewal by Hunton Andrews Kurth at 600 Travis, a 75-story Class A office building in Houston’s Central Business District. The tower, developed by Hines, is the tallest building in Texas. 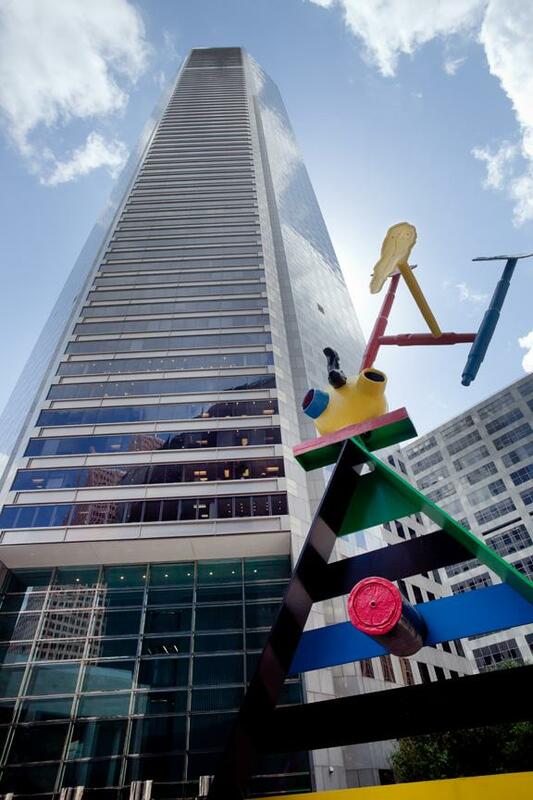 The Texas-based Hunton Andrews Kurth international law firm, founded in 1902, has occupied the 1.6-million-SF office tower since the building opened in 1981. In April 2018, Hunton & Williams LLP and Andrews Kurth Kenyon LLP combined to become Hunton Andrews Kurth LLP. The firm has approximately 300 lawyers in four Texas offices, more than 200 lawyers in Richmond and more than 150 lawyers in each of New York and Washington. Charles Gordon and Paul Penland of CBRE represented Hunton Andrews Kurth in the lease transaction. Clark Thompson, Diana Bridger and Margaret Elkins of Colvill Office Properties represented the building’s ownership, Prime Asset Management. Hines manages the property. I.M. Pei & Partners designed the building in conjunction with Ziegler Cooper Architects. The building was previously known as the JP Morgan Chase Tower and earlier as the Texas Commerce Tower. The tower is located on a block bounded by Texas, Capitol, Milam and Travis streets. Hines is building a 47-story tower across the street on the block that was formerly the offices of the Houston Chronicle, 801 Texas Avenue. Hines has also filed for a permit to build a 46-story residential tower on a half-block where the old Chronicle garage is located – Block 42, bounded by Milam, Preston and Prairie streets. With a height of 1,002 feet, when the 75-story tower opened it was the tallest building west of the Mississippi River. But a few years later it was surpassed by a tower in California. The 600 Travis building, located near the Theater District, features a large outdoor plaza. The focal point of the plaza is a monumental sculpture by Joan Miró entitled “Personage and Birds.” The sculpture is the largest Miró sculpture ever commissioned. Colvill Office Properties, which specializes in landlord representation of office buildings, handles leasing at a number of downtown towers.